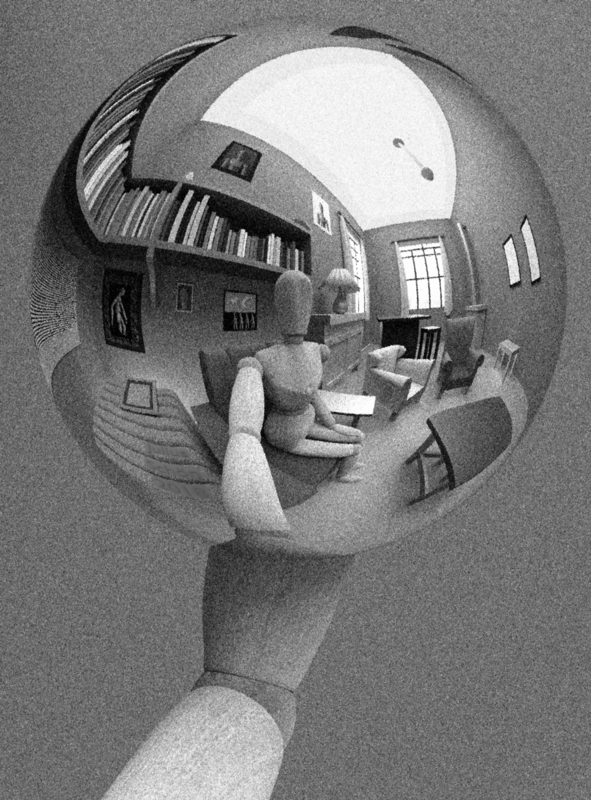 The scene depicted above is a tribute to M. C. Escher’s Hand with Reflecting Sphere, a lithograph from 1935. Since the piece surfaced, renditions have been a common subject for artists. 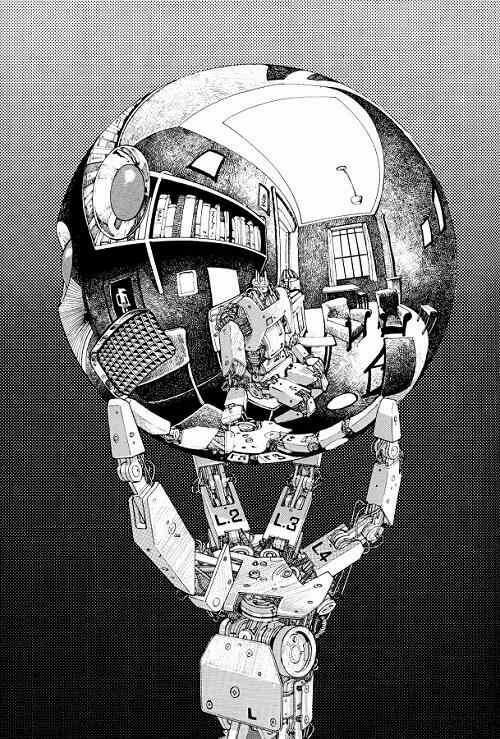 Katsuhiro Otomo, the artist behind Akira, created his own rendition for the manga Fireball. Escher’s original work asked the question: what is a reflection without its counterpart? Here, Schön interrupts the narrative introduced by Escher to ask: can we reflect that which does not exist? What is it like to see oneself as a self that cannot be possessed? The reflection of a doll is a stark reminder of the virtual reality that is beginning to surface. In a future with infinite reflections, the distinction between real and virtual reflections is blurred. Escher was famous for depicting impossible scenes—but, through virtual means, is it impossible to feel what it is to be an other? See more of Julius Schön's work here.